In June this year Ushuaia Loppet was accepted as an Associated member of Worldloppet together with three other races. The race scheduled on August 9 was Ushuaia Loppet’s first appearance in Worldloppet. Alarming reports were received about the lack of snow in the area and a FIS competition planned end of July had to be cancelled. However, in the first week of August a sufficient quantity of snow came and the fears about the cancellation of Ushuaia Loppet disappeared. I talked with locals who said that the lack of snow is quite exceptional. Last year they had abundant snow and it snowed even during the summer months December to January. The race takes place in the Tierra Mayor valley about 20 km from Ushuaia. A bus service is organized for classic and alpine skiers. As soon as possible I will write a piece of Advice for skiers for the IAWLS website concerning travelling, local conditions etc. 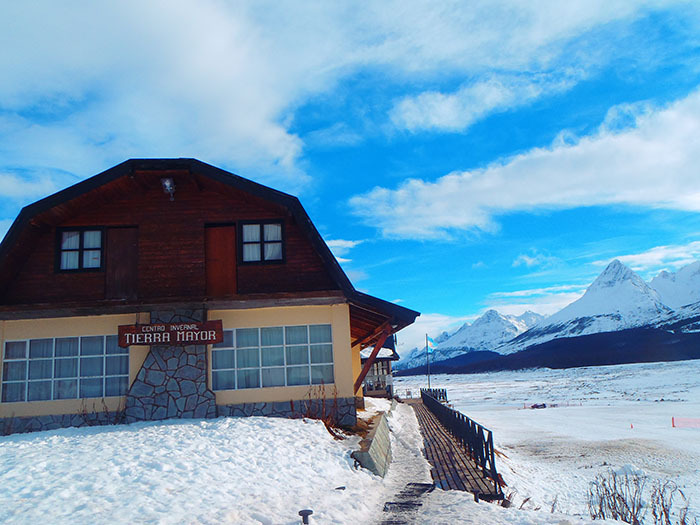 Cross country skiers receive a warm welcome at the Tierra Mayor ski lodge where restauration is possible. 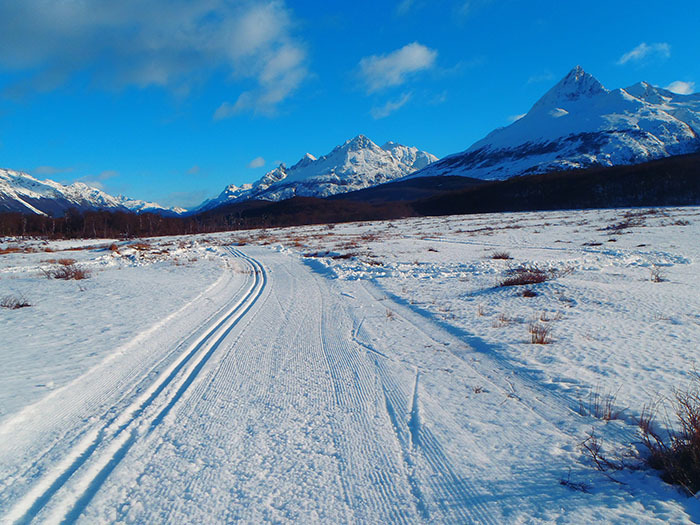 The terrain is quite suitable for XC skiing. Starting and finishing in front of the lodge, the track makes a 12 km loop to the East, then a 9 km loop to the West, which makes the 21 km Silver race. Ushuaia Loppet’s 42 km race repeats the same. Mostly the valley is flat. There are only a few non dangerous descents. In a briefing on August 8 the organizers announced that due to bad weather predicted on August 9 with snowfall and wind the race was postponed to August 10. On that day there was still some wind and the snowfall continued. Skating in fresh snow made the race rather demanding. The skiers first stayed inside the warm lodge where they could leave their bags. A few minutes before the start that occurred at 10.15 they were called to the start area. 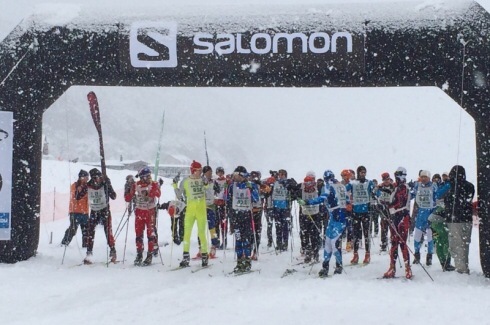 52 skiers from 11 countries participated, 38 in the 42 km race and 14 in the 21km race. Most skiers came from South America, seven from other countries. IAWLS members that finished the 42 km race were Josef Kral and Ivana Kralova (CZE), Hannes Larsson (FRA) and Thomas Sutherland (USA). When the entry of Ushuaia Loppet in Worldloppet was announced in June, most overseas skiers had planned their Summer holidays. In coming years one can expect increasing numbers of foreigners. However, Ushuaia (same as New Zealand) requires a long travel. Maybe one can expect numbers similar to Sapporo and Kangaroohoppet, that sometimes receive up to 60-70 foreigners. Ushuaia is “The End of the World” and is certainly an interesting touristic goal. The 70’000 city lies in a bay of the Beagle Channel and from this base one can make many excursions in the surroundings.